Android has been playing catch-up with features that phone maker overlays already have for a while now, but at least it was visually different, with the flat, colorful Material Design guidelines that appealed to many. Up until today, that is, when Google outed the Android P Developer Preview, and said it will block access to custom overlays. Read: awesome rootless Substratum theming will no longer be possible with P. Bummer. The irony? 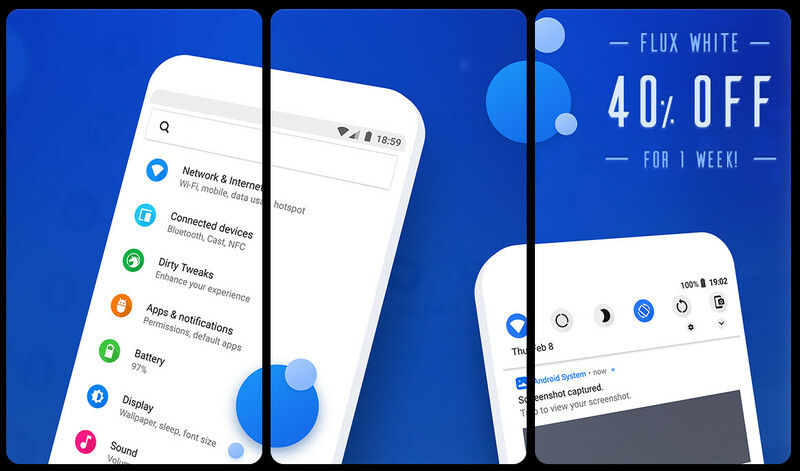 The new Android P visuals, heavily leaning to the white and OLED unfriendly variety, have been criticized for being a mixture of Xiaomi's MIUI (the circle switches in the shade) and Samsung's Experience UI (the colorful settings icons), but we need to look no further than some custom Substratum themes available in the Play Store to see where Google got its 9th inspiration from. Like Flux White, for instance, which, as you can see above, has toggle and settings icons very similar to what Google demos, and on a blindingly white background to boot. To each their own. Not really liking so far what direction Google is heading GUI wise. I hope substratum will keep on working when rooted (since I always root anyway). At least android now looks a lot better than ugly unresponsive andriod. We really need a third option. Google bought Nest and closed its ecosystem I see them doing the same with Android. They are slowly making exclusives for android. a google only android will become more feature rich... i wonder if another operating system will rise, I imagine thats why samsung keeps its interface so different so i can change to tizen without a shock to users. The white background is blinding for night time use. That is horrible, I hope Google will not make this permanent.. There's likely a night-mode that'll switch everything to black or dark-gray, but it's s**tty that that's the only option instead of letting themes do it. It's rumoured but not confirmed. Are you referring to night mode? If so they've had that for awhile now, since I believe Nougat. White is ugly and hurts my eyes. Give me a Black/dark theme! If this is where Pure Google Android is headed...my next phone may not be a Pixel...but back to OEM brand device that has a decent looking skin. White UI? Not for me! How difficult could it possibly be for Google to offer a black/dark theme? Substratum makes it easily possible but Google couldn't. They simply don't want to, instead forcing white backgrounds on people and denying simple options. It's a no-brainer at this stage. . Never used an unrooted android, doubt I would in the future, at this pace! I don’t think it looks that bad. It’s not like I spend that much time in the quick settings or settings after initial setup.